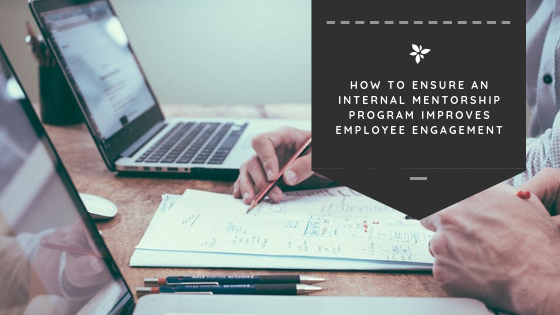 Offering an employee mentorship program can be a huge boon to organizations that have lower levels of employee engagement. If you find that your teams seem bored, unenthused, and unchallenged, building employee engagement into your company culture can result in a more engaged, happier teams. But launching your own mentorship program by itself won’t result in a more engaged workforce. You have to make strategic decisions in how you implement your mentorship programs to facilitate engagement. A mentorship program that actively facilitates engagement will revolve around communication and skill-enhancing activities. Organizations with high employee engagement outperform those with low employee engagement by 202%. Highly engaged business teams result in 21% greater profitability. Generally, mentors tend to be assigned to work with new employees that are just learning the ropes. They provide guidance during the most critical time in a person’s career with your company. A great mentorship program can help to reduce turnover, help new employees get to know the company and fit in, improve their skills, and generally help them to have better, more fulfilling career within your company. It’s important that you put some thought into how you match your mentors with the employees that they will work with. It’s best to find people that are going to mesh well and have something in common. If a mentor can also be a friend to the people that they are helping then the outcome is going to be better for both parties. HR can help you to put together profiles for the mentors. By understanding the different interests that they have, where their skills lie, and what their personality is like, you can help yourself to make a perfect match with other proteges in your organization. There are software packages out there that offer an algorithmic approach to matching mentors with students that will be a good fit, but how you decide to handle it is completely up to you. Software matching could provide certain advantages and de-personalize the selection process. Additionally, you also want to give new employees the ability to quietly request a new mentor if they feel that it is not a good fit. Remember, the mentee is the person that has everything to gain from the relationship. It’s for their benefit. Forcing them to stick with a mentor that they inwardly feel isn’t benefiting them isn’t going to do anyone any good. Every mentor/mentee engagement within your company needs to have goals attached to it. If the mentor is simply overseeing a new employee as they come through the onboarding process, the goals that you set should be quite simple. You just want to make sure that they get through all of the training materials, gain a basic understanding of the company, and check the boxes that put your new employees in a position to succeed in their new position. Here at Organimi, we recommend following the SMART goals system. SMART is an acronym that is used as a guide for goal-setting by highlighting certain features that each goal should aim to follow. It was originally conceptualized in Peter Drucker’s Management by Objectives. Since that time, the SMART Goals system has found a home in business applications. By keeping these traits in mind as you set goals for your mentorship, you’ll create goals that will help you to measure the success of your mentorship program and the benefit to mentees as a whole. A mentorship program is only as good as the benefit that it provides to However, many will be reluctant to provide their true thoughts on a mandatory company program without being given the opportunity to do so anonymously. When you launch your mentorship program, make sure that you give your employees the ability to provide useful feedback on the program so that you can make changes that help all participants. If your goal is to improve employee engagement, you’ll be more likely to see engagement figures slip over time if your teams aren’t able to provide feedback and for you to make improvements in the long term. The companies that get the most out of mentorship programs don’t use it for just one specific purpose. Yes, they might offer it to new employees that need guidance in the onboarding process, but it may be a great idea to make your mentorship program available to employees at all stages of their careers. Building mentorship into company culture is a sure-fire way to improve engagement. It will allow companies to learn from more experienced people within your company, and give employees at all stages the opportunity to improve their skills and mindset in key areas. Engagement is absolutely critical for the overall health of your company. You have to make sure that you are able to challenge your employees and make them truly feel like the work that they do has a real impact on your organization. A mentorship program not only helps employees in the beginning of their time with your company, but it gives them something to aspire to down the road. A mentorship program can be a great way to help employees at different levels to get to know each other and build bridges that will help new hires to advance quickly.